Yes, yes, we know what you’re thinking and you’re right! Moving is widely regarded as painful, awful and many other words we can’t use. Moving during the holidays has its own special charm and we don’t mean gingerbread cookies and candy canes either. Was moving during the holidays a bad idea? As stressful as moving is, moving during the holidays can increase your stress levels multiple times over. Other people are joyously and eagerly unpacking ornaments to hang on the chimney. You and your family are stuck with the unenviable task of having to pack everything you own. You also have to uproot your whole family from the place that has given you so many wonderful memories. The holidays are often a time that families use to take ski vacations or vacations to get away from the cold. They also use the holidays to simply spend time together and reminisce. Well, you’ll be spending that time together alright, but unfortunately, it won’t be in the way that you thought. HO HO……Oh NO, moving during the holidays! 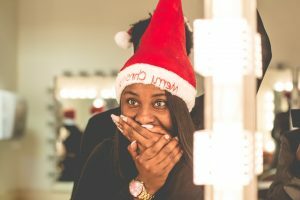 Never fear, there is some good news that will help keep you from turning into the Grinch this season. 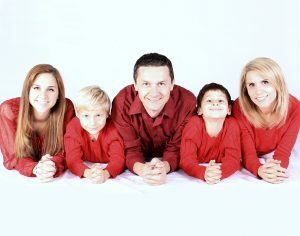 First and foremost, try to stay upbeat and keep a positive attitude toward your family. The more you look at it as something great is happening, the more they will too. 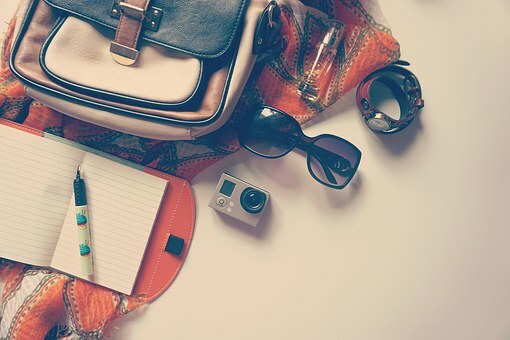 You’re embarking on a new adventure and moving during the holidays means you’ll have more free time to enjoy the summer. Perhaps the most important factor when moving during the holidays is to make sure that you’re as prepared as possible. Below you’ll find some suggestions that will make this period truly “merry and bright” for you and your family. You’ll be spending more time with your family that’s for sure! There are many factors to consider when moving during the holidays and budget is often the biggest one. How to cut moving expenses is on everyone’s mind. It’s hard enough to stay on budget during the year, but throw in all of the gifts and it goes out the window. Flexible on dates? Save some greenbacks by scheduling affordable Staten Island movers. Try going for a mid-week move, it’s usually cheaper and there is greater availability. Always try to avoid moving on the weekends. Remember, it’s their weekend too, and moving companies are usually short-staffed during this time. Other cost-saving alternatives are to do it yourself. Sure, it’s a little more work, but it will save you some money and you’ll spend that time packing with the family. Additionally, you won’t feel rushed from having signed a contract with a moving company. There are plenty of options such as hiring rental trucks and portable moving containers or pods. Moving containers are not only great for easily moving, but are awesome ways to store your items. Especially, if you really don’t feel like unpacking on Christmas or New Year’s. Wait a few days and do it later. Want to save money on boxes and packing materials when moving during the holidays? If you’re willing to put some elbow-grease into it, you can easily find the supplies you need without paying. You might have to look around, but local liquor stores are a great source for discarded boxes. Craigslist is also an invaluable resource to find boxes and other packing materials. As much as you need all of that, there are plenty of people who are trying to get rid of it. The U-Haul Box Exchange often has free cardboard boxes. Lastly, ask your friends and family if they have old newspapers, magazines, blankets, and towels. You won’t need to blister pack. as all of these items are great for cushioning your prized possessions. Although, these are also all the reasons why you should hire professional packers. Hey, we said the holidays were family time, what are friends and family for, if not to help you move! 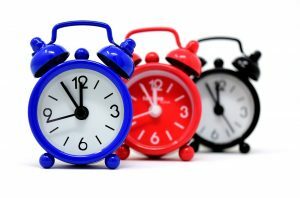 One of the most important factors to consider when moving during the holidays is timing. While summer is generally considered peak moving time, the holidays are an extremely busy time for movers as well. After all, they have holiday parties to go to just like you. This means that if you plan to use a moving company, you’ve got to do so as early as you can. Do your homework, companies know that moving during the holidays is more expensive and there are fewer movers available. 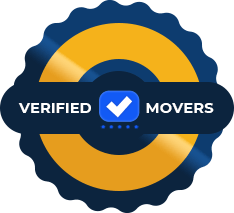 You’ll want to make sure you research movers before you agree to dates and go with reputable companies. Nothing says “bah humbug” like starting the New Year off on the wrong foot. Consider if he is good timing. The U.S. Department of Transportation has determined that Thanksgiving, Christmas and New Years are the busiest travel periods of the year. Here is a little piece of advice, try not to move around or near these times. First, if you’re moving on your own, it means the roads are going packed with shoppers and travelers. Second, it means, it’s going to be expensive. Whether you hire movers or do it yourself, this time of year commands peak charges. You can plan just about every part of your move, but there is one thing you can’t plan for, the weather. Moving during the holidays adds a dimension to moving that can throw your whole plan out of whack. Ready to drive away? Not so fast, you just got two feet of snow and are going nowhere. The sad fact is that we can’t control the weather, but there are some things we can do to make moving during the holidays a little easier. The only aspect of your move which you can’t control. 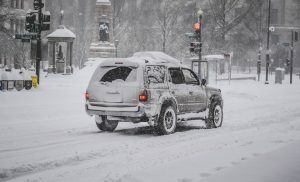 If you know you’re moving to the Midwest or Northeast, be prepared for the cold and often frigid temperatures. You don’t want to get caught empty handed, in this case without gloves. Preparing for the worst will put you at your best. Make sure you have the right moving supplies. Most importantly, make sure you do not box-up your winter clothing. Anticipate unfriendly conditions and make sure you put these items in a separate location and mark the boxes properly. Gloves, hats, boots, and even shovels and salt may be needed to get settled. Waterproof all of your winter clothing in advance, so you’re not “left out in the cold” later. We all know that moving during the holidays means blizzards and dangerous conditions. If you do it yourself, make sure you pack the items you need the most last, so you can grab them first. Get that shovel and salt ready for those icy stairs and sidewalks. The last thing you want to do it start off on the wrong foot, or a broken one at that. So you’re almost there, you’ve moved into your beautiful new home, the snow is falling, but something seems to be missing? The heat. Don’t forget to get that heat and electricity connected when moving during the holidays. That or you will likely be spending your first weekend in a warm hotel and come back to frozen boxes. The experience of moving during the holidays is done. Hopefully, you had high-quality moving services NYC so now you can sit back, enjoy a fire and take in a little eggnog. You may still have some work to do to make this new house your home, but that’s okay, you did it. Now take some time, sing some carols with the family and just hope that Santa knows your new address. Ho Ho Ho…….and good luck! How to pack for a move in one day? Post-move checklist – have you done it all?